Provision of outpatient CR in Denmark was solely a hospital-based task until 2007. 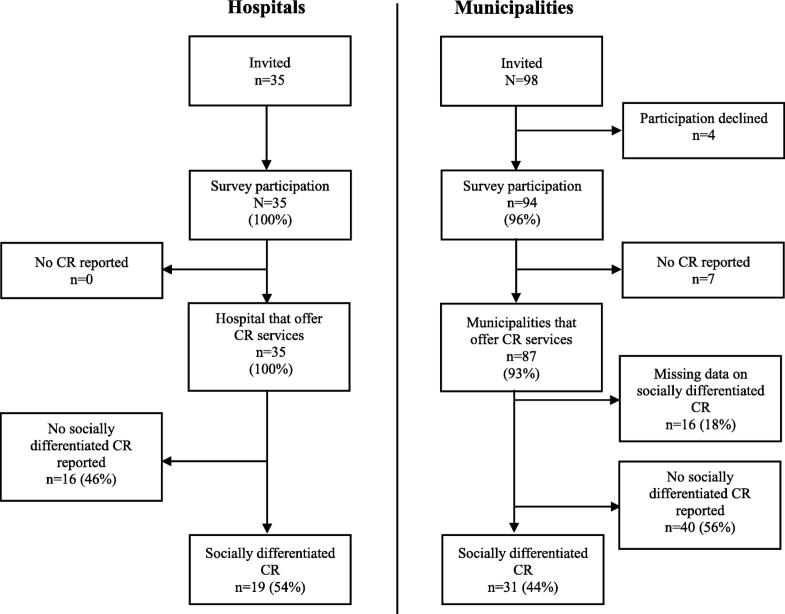 In accordance with the World Health Organization’s (WHO) recommendations [7, 8]; a Danish structural reform led to the delivery of CR becoming a shared responsibility between hospitals and municipalities . Community-based outpatient services are thought to enhance accessibility by increasing proximity to the provider and thereby potentially diminishing health inequalities among vulnerable population groups. Vulnerability can relate to socioeconomic status, educational level, age, gender or ethnic origin, and have been shown to predict lower uptake of CR [10–12]. A Danish study in 2012 tested an intervention where socially vulnerable groups were offered an extended rehabilitation programme customized to meet their special needs. Non-Danish speaking patients were included in the study and were offered interpretation support. The study suggested that offering socially differentiated CR can equalize attendance and adherence among socially vulnerable groups . Language barriers are among the most common obstacles migrants endure in their access to healthcare, as it can potentially impede effective communication and create misunderstandings, thus posing challenges to providing adequate healthcare. Several international studies have concluded that language barriers hamper access and reduce quality of healthcare [22–24]. However, the use of professional interpreters with non-Danish speaking patients has been associated with improvements in patient satisfaction, clinical outcomes and healthcare access [22, 25, 26].